Social media platforms are changing every day, which means that Social Media Marketing is changing too. You may or may not be aware, for example, that Facebook recently added a “Stories” option, which is similar to the feature previously offered by Instagram (among others). Social media and advertising and marketing trends are changing rapidly, too. Here are five of the biggest Social Media Marketing trends you should watch for in 2017 & going into 2018 (as well as a few tips on how to personalize them for your business, website, band, or whatever you're trying to promote). In recent years, Twitter has been in a slow decline. Many analysts have even predicted a slow demise for the one-time social media giant. While Twitter will likely survive, it's pretty unlikely that you're going to find any positive references to Twitter if you search the web for Social Media Marketing Trends 2017. What happened? Twitter was originally built on real-time, quick-to-read updates. Unfortunately, Twitter's original appeal isn't as exciting anymore now that users crave longer, more in-depth posts and content. In addition to controversies regarding censorship and security, Twitter clearly needs to overhaul their game plan if they want to remain viable in the years to come. There's a reason Facebook adopted “reactions” to replace simple “likes” (you can even react to comments now); allowing users to react let's them share their specific feelings about a post or a piece of content, and not just the fact that they noticed it. What does this mean for your business's Social Media Marketing? Well, one of the biggest recent Social Media Marketing Trends is a shift toward more emotionally engaging content. Increasingly, marketers need to be sharing not just a message, but a story. Something inspirational, something adorable, maybe even just something that's downright funny. Why is this so important? Well, content that provokes strong emotions increases content's “spreadability”, and consequently improves your brand awareness as well. What a difference a few years can make. The one-time scrappy upstart Snapchat has gone from a relatively-popular platform to a position where they now stand a chance at becoming more relevant than Twitter. What's behind the spark in popularity? Their adaptability, for one. Recently Snapchat completely changed their format and even their name–they're now known simply as: Snap. What are their goals for the future? Focusing on what they do best: in-the-moment and live content, including the introduction of vertical videos. Snap is reportedly also working on some exciting product development, including glasses that will allow Snap's users to share high-resolution visual information in real-time. Naturally, these changes and new opportunities have marketing professionals champing at the bit. Their new style promises to be one of the most-watched this year in Social Media Marketing. Although new platforms show up seemingly every day, most of them don't succeed on a global level. As more marketers realize this, expect to see a trend towards greater choosiness when it comes to social media platforms. For many businesses, it's redundant and even wasteful to market on more than one platform. Consequently, many are predicting that in years to come, business should focus all of their online marketing efforts only on the platforms that have a proven success rate. There's an increasing demand for social media to be more immersive, providing a sort of vicarious experience for users. In the simplest terms, it's no longer enough for you to post about an event–you need to take users into the experience by live-posting, or even by using a 360-degree video. We predict that this will be one of the most noticeable shifts when it comes to Social Media Marketing Trends 2017. How Will You Make These Trends Your Own? 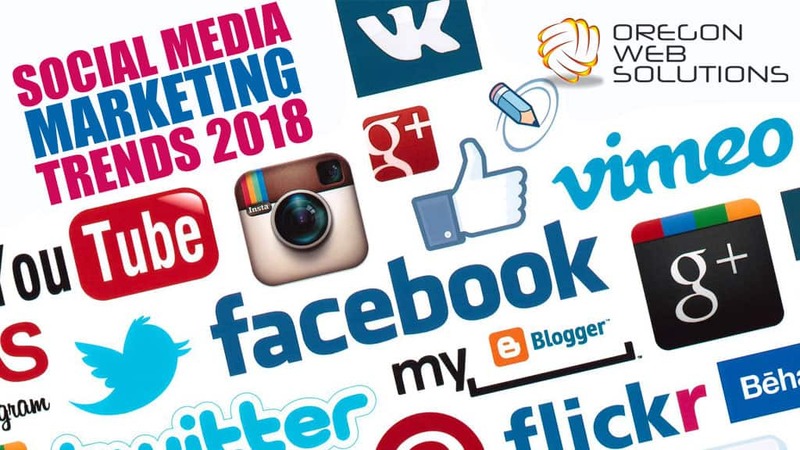 Now that you're aware of some of the Social Media Marketing Trends 2018, the question remains: how can you take advantage of these trends to tell your brand's story? Here are a few tips. What's your brands “story”? Are you socially engaged? Are you outdoorsy? Let your customers know what you're about! Do you have events that you can live-post? Which social media platform has had the highest marketing success rate for your business? We wish you the best of luck creating your own Social Media Marketing Trends! If you need help with any of your social media, you can contact us here, or call us at (503) 563-3028 to find out how we can help you grow. I wanna know more of social media. What would you be specifically interested in knowing more about Saunoa? Instagram and Facebook have now the highest marketing success rate. 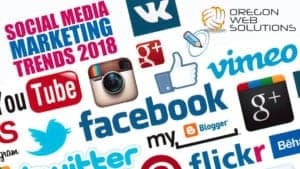 Growing Social Media Marketing Trends To Look For In 2018	Overall rating:	5	out of 5 based on 48	reviews.